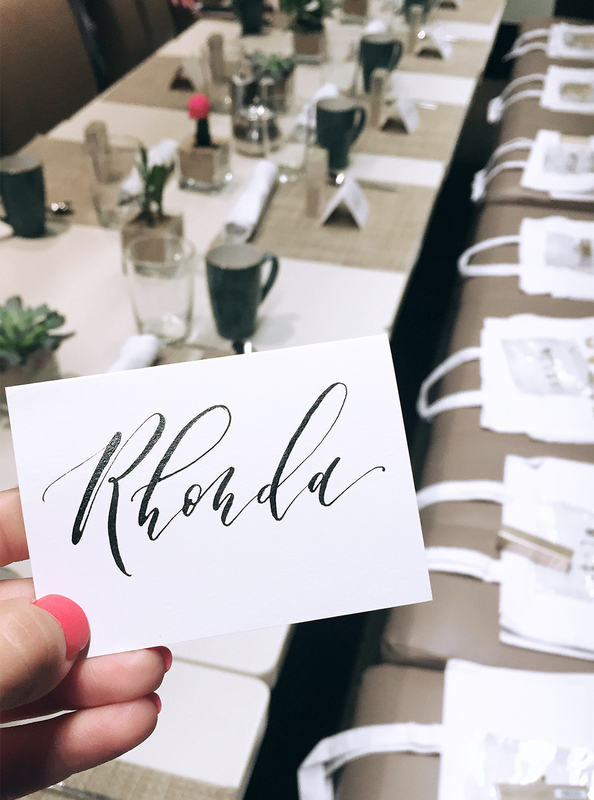 Our May Dallas Blogger Brunch was such a great event at Second Floor Kitchen! Each month, I invite 10-12 bloggers to enjoy a community-building brunch at a delicious Dallas restaurant; we have been brunching for over 2 years now and eaten at Maggiano's, Americano, and Pie Tap Pizza Workshop, just to name a few! It has become tradition that I order the french toast (for consistency's sake, of course! ), and the Berry Brioche French Toast at Second Floor Kitchen ranks high on my list of favorite french toast in Dallas! 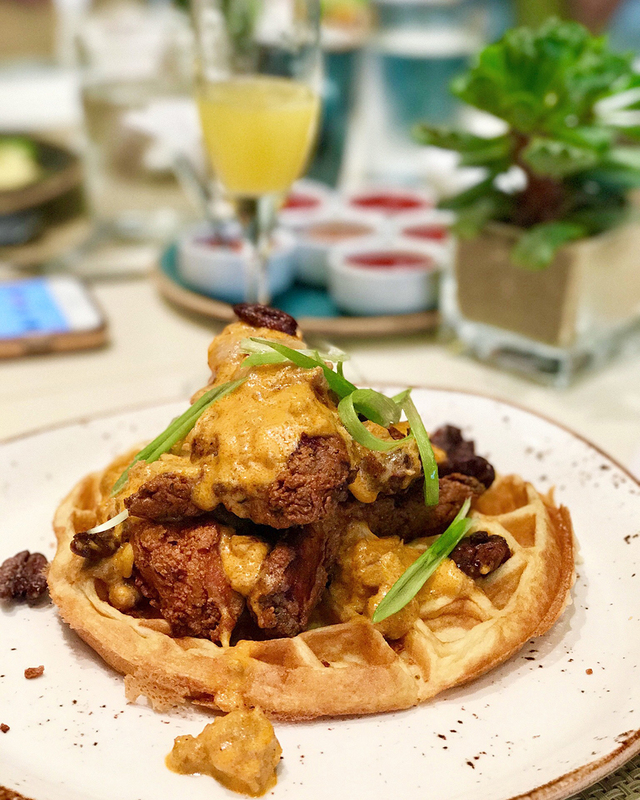 The menu also featured other brunch favorites like benedicts and chicken + waffles. This chicken + waffles dish had a spicy kick to it and came with a jalepeño gravy. I'm not usually a huge spicy food eater, but this was the perfect mix of sweet and spicy flavors so I would definitely recommend it! I kept our brunch table simple this month to showcase a special gift from Stila Cosmetics for each blogger as well as elegant place cards by EverWild Calligraphy. I loved meeting some wonderful Dallas bloggers over our tasty mid-morning meal and can't wait unitl next month's brunch! Thank you to Second Floor Kitchen for hosting Dallas Blogger Brunch!